Grab your couch co-op buddy, PixelJunk Shooter Ultimate is back for another run. This time, on PC! Released for PS4 and Vita in 2014, PixelJunk Shooter Ultimate tows in both PixelJunk Shooter 1 and 2 along with heaps of improved visuals. Definitive edition, anyone? Yeah, definitive edition. The PixelJunk Shooter games combine action, exploration, puzzle solving and shooting that takes place in a world of dynamic fluids. An underground research trip went haywire, leaving scientists stranded in all manner of dangerous locations. It's your job to trawl through the subterranean world, picking up stragglers with your grappling hook while searching for treasure. It's a simple set-up, but with all the destructible environmental puzzles and the fluids that interact with each other, it quickly turns into a must-play game. PixelJunk Shooter Ultimate keeps what made the original games awesome while improving on a few things you didn't even know could be improved upon. The visuals are the most obvious upgrade, as now everything looks brighter, crisper, and more colorful, especially the new 3D ship models. And if you don't like it, switch classic visuals back on, nobody's gonna judge you. Local co-op is still a core part of the experience, offering up superb puzzle solving action for two players using any combination of keyboard and controller inputs. Shooter 1 and 2 combined featuring all of the levels from the two games. The Graphics and UI overhauled to create the new ‘Ultimate’ art style. The scoring, combo and rewards systems have been improved. We added a host of new features to make it easier for players to 100% complete the game – including a treasure tracker so players know how many treasures are in each area and progress indicators on each level so players always know what they missed. Steam Achievements, Leaderboards and Trading Cards. A new Photo Mode which allows players to instantly pause the game and remove the HUD for beautiful screenshots. 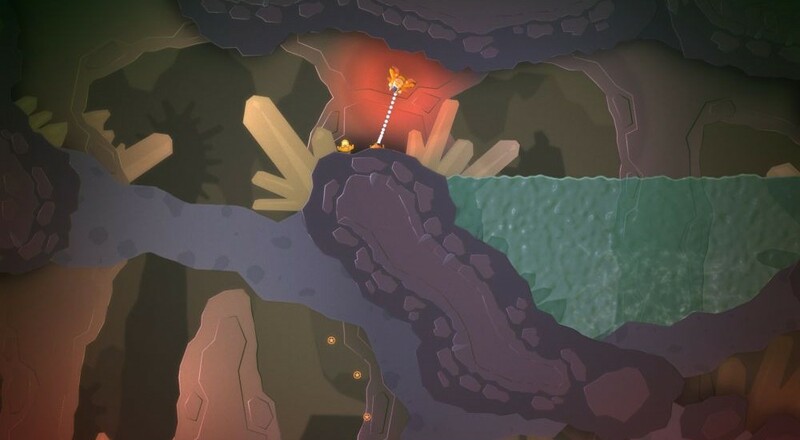 Grab PixelJunk Shooter Ultimate through October 28th for a nice 10-15% discount. If you purchase through Steam and already own PixelJunk Shooter, that'll nab you an extra 20% off. If you own PixelJunk Eden, PixelJunk Monsters, or Nom Nom Galaxy, that's another 5% per game. The discounts stack up, so if you're a PixelJunk fan, you're in for a sweet treat. Page created in 1.0538 seconds.